Deutsche Telekom and the German Armed Forces will work more closely together in the future to defend attacks from the Internet. Deutsche Telekom and the German Armed Forces will work more closely together in the future to defend attacks from the Internet. This was agreed today at Deutsche Telekom's Cyber Defense and Security Operation Center in Bonn. The core of the cooperation is a regular information exchange and job visits of members of Bundeswehr and Telekom employees. Bundeswehr and Telekom are also working more closely together to train IT security experts. Relevant offers will also be open to the partners in the future. Bundeswehr and Telekom are also considering an exchange of students. The Chief Information Security Officer of the German Armed Forces Major General Jürgen Setzer said: "With this agreement, we are taking an important step towards working intensively with the largest network operator in Germany in the field of cyber security". According to Setzer, IT specialists are still in great demand on the job market and are not always immediately available. However, both the Bundeswehr and industry would need intelligent and well-trained experts. The cooperation keeps knowledge about current threats from cyberspace and their defense at a high level. Thomas Tschersich, Head of Internal Security & Cyber Defense at Deutsche Telekom, emphasized: "Cyber experts from Deutsche Telekom and the German Armed Forces benefit from the exchange. Together we are also making an important contribution to cyber security in Germany". 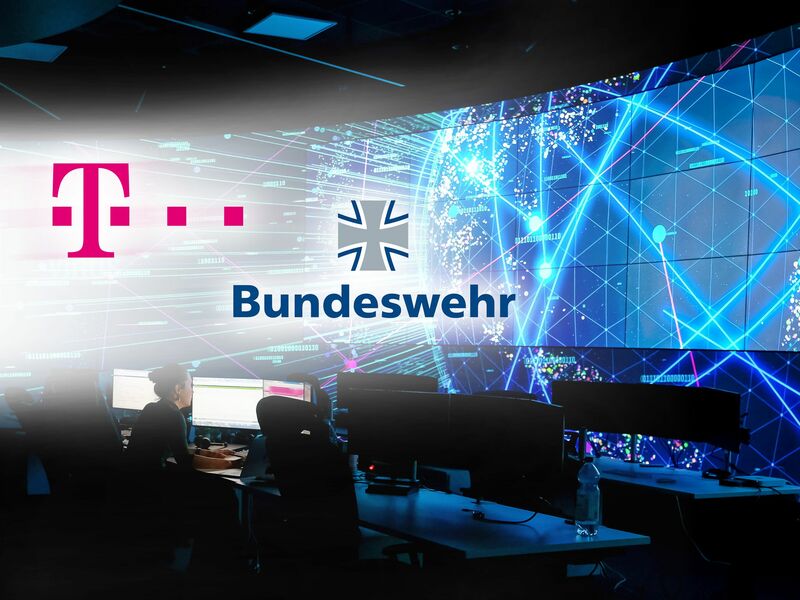 Head of Telekom Security Dirk Backofen added: "Close networking at the Bonn location will enable joint exercises in IT forensics in the future. Cooperation with other partners such as the Federal Office for Information Security can also be intensified in Bonn. Knowledge must be shared in the interest of all: Security is for sharing". Deutsche Telekom established the Telekom Security business unit last year. The Group had combined its security expertise in a new integrated Cyber Defense and Security Operation Center. In a similar step, the Bundeswehr had bundled its cyber expertise in a new military area. The background to the new agreement is the Federal Government's cyber strategy. This strategy views security in Germany as a national task. The government calls for close cooperation between state and industry. It is particularly important to interlock with the operators of critical infrastructures.